In the immediate hours following the terrorist attack in Paris on Friday 13th November a new image began to appear on the streets of the city. 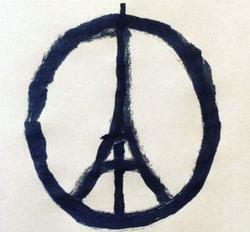 It consisted of an outline of the Eiffel Tower laid over the familiar ‘peace sign’ evoking a sense of unity in the nation, support for the victims and a wish for peace. Even before the details of the atrocity were fully known this simple cartoon was being shared by millions around the world. 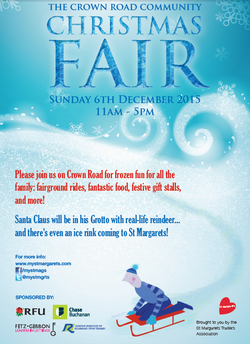 Please join us on Crown Road from 11am to 5pm on 6 December 2015 for frozen fun for all the family. 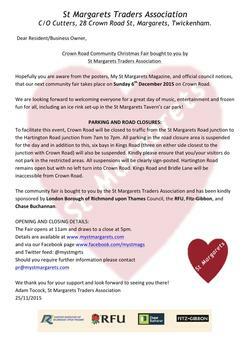 Hopefully you are aware from the posters, My St Margarets Magazine, and official council notices, that our next community fair takes place on Sunday 6th December 2015 on Crown Road. 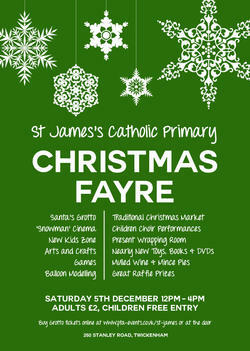 The St James Christmas Fayre is on Saturday, 5th December from 12pm till 4pm This year we are having an outdoor Christmas Market with lots of exciting stall holders selling art, craft, handmade Christmas decorations, prints, canvasses, cards, handmade jewellery and accessories and much more! 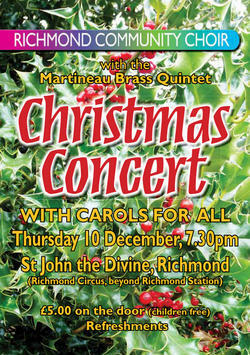 Come and see a Christmas Concert with old and new pieces, carols for all, and mince-pies, at 7.30pm on 10 December 2015 at the Church of St John the Divine, Kew Road, Richmond. 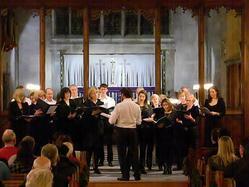 This is the time of the annual River Thames ‘Draw-Off’. You may have noticed. The weirs at Richmond Lock have been raised and the river allowed to settle down to its natural depth and flow. For long periods of the day, from Richmond Lock to Teddington, the river is now un-navigable for larger vessels. 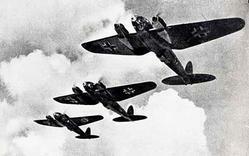 Local boat people know that and on 19th February 1944 so did the German Luftwaffe. Join Turner’s House Trustees for a glass of wine while picking up delightful and original Christmas gifts for friends and family - all to support the Trust’s restoration appeal. Leading UK artists and Dreweatts auction house collaborate to save Turner’s House at Donnington Priory saleroom 10 am 12th January 2016.